She better stop playin’ that natural hair game and put a damn relaxer in her head! You wear fake hair because you’re ashamed of your real hair and yourself. You know you need to look presentable for this. It’s important. So slick that afro back and straighten it or something. That girl is disgrace. She don’t know what the hell she wants. She got a wig on one minute and braids the next. Why in the world did you cut it?! You shoulda never cut your hair! Don’t cut it anymore! And she know damn well she need to take that color out her head. All them chemicals. Plus she too dark for that light color anyway. Natural ain’t for everybody boo. And it ain’t for you. 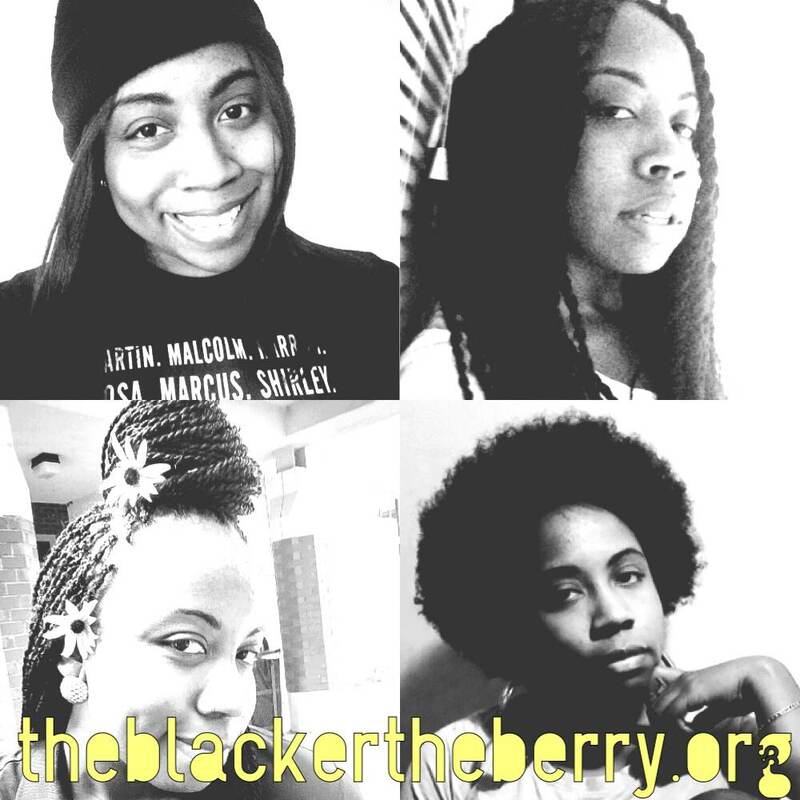 This tug of war – also known as the thoughts and opinions on black hair – is everywhere. And it’s getting really old and really tiring. Really quick. …and I won’t mess with yours. Naw, but really. My hair…is MY hair. I’m not walking around asking you to fix it, judge it, touch it, or give it a score on a scale from 1 to 10. Does my afro look too unkept? Great. You don’t like the fact that I wear extensions sometimes? Just dandy. I like to switch up my look and my hair is part of my look. But the best part of it all? This hair…is on my head. Not yours. 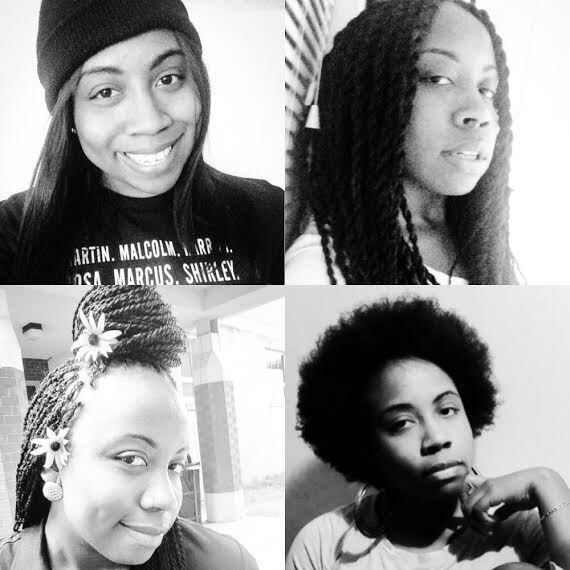 I am just LOVING the natural hair movement and the paradigm shift that has occurred as a result – that is, the fact that we as black women are embracing our hair the natural way it grows from our heads now more than ever. But just like colorism (or in short, the whole light skin/ dark skin thing), it has caused a great deal of division in the black community. Some naturals turn their noses up to what they deem to be the unconscious weave-wearers and identity-barren relaxer-users. Some who insist on extensions or relaxer look at the naturals as going “overboard” with the history and the hotep. Regardless of our hair preferences, we should be standing TOGETHER as women. Thou shall not let weave nor wash and go get in the wayeth of that. Some men – whether they are our boyfriends, husbands, fathers, brothers, friends, etc. – have gotten the idea that our hair belongs to them. Men: if you want to change her hair, aren’t comfortable with what she does with it, or if you define her beauty and her worth by her tresses – grab a mirror and take a peek in it. You see that – you see your face? You are NOT her and you do not OWN her, or her hair. If you don’t like her natural curls, put some extensions in your hair. Or better yet, throw some relaxer on your low cut. Do whatever it takes to keep you from demeaning the women in your life and putting your insecurities and complexes on their scalps and their ends. Please. The historiopolitical implications of our hair – from the use of hair texture to divide African slaves during colonial times, to the use of straighter hair to help one pass as white and gain access to the privileges that came along with it, to the association of natural hair (namely afros) with the black power movement – are closely tied to knowledge of self. Some use this knowledge to educate and empower themselves and enlighten others. Other people will use this knowledge as leverage over our hair. They will use ideas of identity to intimidate and using politics of hair to propagate undue pressure. Attempting to control black hair – be it by putting down a woman and pressuring her to change her hairstyle because you don’t like how her hair looks or what she does to it or looking at yourself as better than other women because of how you choose to style your mane and separating yourself accordingly – doesn’t get us any closer to liberation or a true love of self; a true love of tearing others down is what this tug of war has turned into. I think the root of this entire hair debacle is (drum roll)….insecurity. Maybe my hair is so thick, it makes everyone else in the room feel uncomfortable. Maybe you’re jealous because your hair can’t do all the things mine can. Or maybe, you just can’t stand the power, the creative agency or the liberation my hair offers me. Or, simply put, maybe you have the problem…because I am proud of who I am. Because I am not here to meet your standards. Because my black hair don’t care. I’m glad you liked it. Hair is hair, not a tool for intimidation, conformity or division! You are so true and its so sad how so many out there do exactly that.